*Can substitute with your Trazza Hummus flavor of choice, or Trazza Baba Ghanooj. 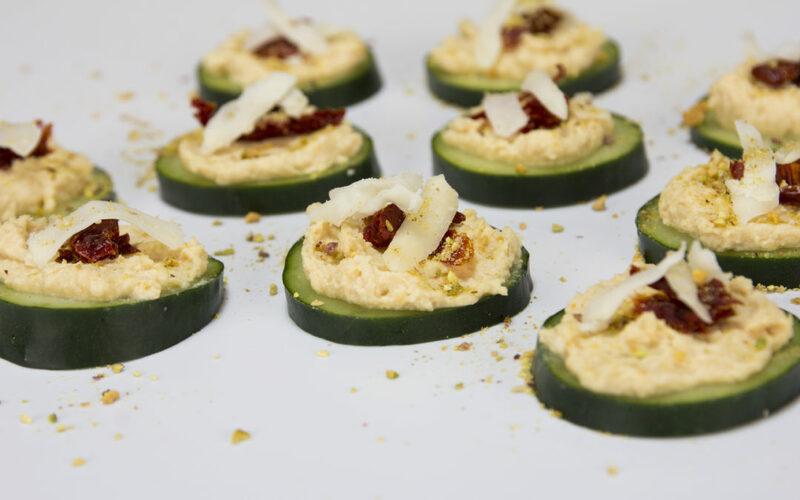 Spread cucumber slices with hummus. Top with sun-dried tomatoes and shaved parmesan.